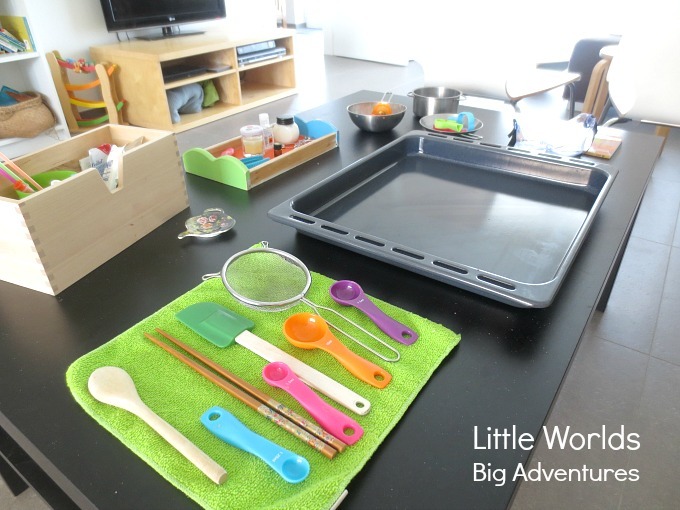 Most kids love a bit of dramatic play and Miss Glitter (almost 7) is no exception. Any topic will do but when there are dragons, mermaids or other magical creatures involved, she’ll happily go to that fantasy world of hers where unicorns rule. When we (finally! couldn’t wait!) received our copy of Zoey and Sassafras by Asia Citro it was love at first sight. Zoey is the most awesome role model for young, inquisitive girls and Sassafras is everyone’s new best friend. Plus, “thinking goggles” is the new black! 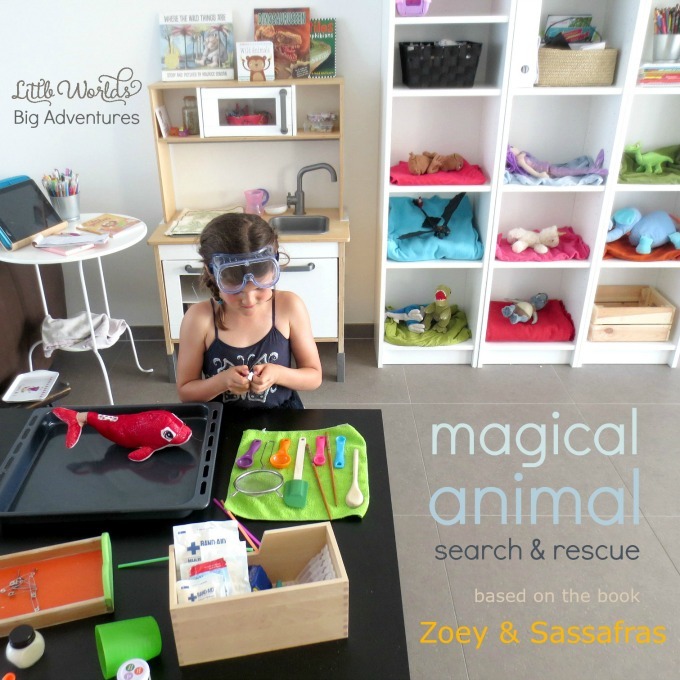 Let me tell you all about our very own Zoey and Sassafras adventures and show you how you can easily set up a magical animal search and rescue center in your living room. Dragons and Marshmallows is the first book in the brand new Zoey and Sassafras series of chapter books written by Asia Citro (who you might know from Fun at Home with Kids and author of The Curious Kid’s Science Book and A Little Bit of Dirt ). Zoey and her cat Sassafras are best friends. 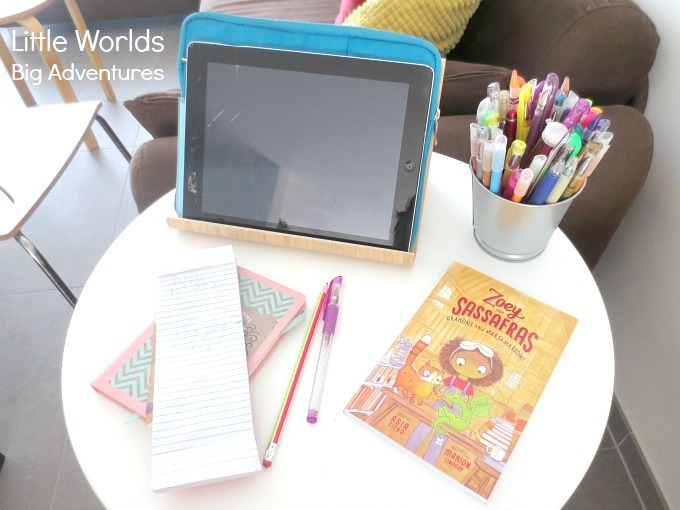 In this book Zoey discovers a glowing photo and learns an amazing secret. Injured magical animals come to their backyard barn for help! When a sick baby dragon appears it’s up to Zoey and Sassafras to figure out what is wrong. My (almost 7 year old) daughter was hanging on my lips while we read the book together in one go. The story line is captivating, the illustrations are beautiful and the STEM elements have inspired many experiments on both stuffed animals and siblings alike! 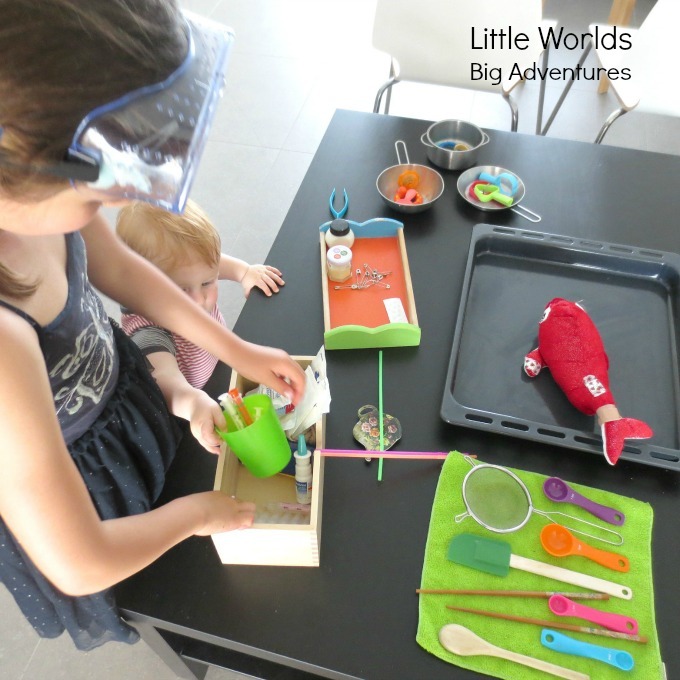 What in the world could be more fun than good old magical animal search and rescue pretend play? This little set up so easy, great fun and almost too real. Prepare yourself for some serious animal rescue missions and the occasional gruesome surgery. Things are about to go down. We emptied a number of shelves so we could move in our found and wounded magical animals and other creatures. So far we’ve had ET , Ivy the mermaid , Arlo The Good Dinosaur , Toothless the dragon , Happy the unicorn , Ellie the blue elephant, T-Rex twins, a troll who won’t say his name, Rusty the dolphin and a mysterious spider visit. Pretty exciting, right? We set up a writing station for note taking, graphing and (pretend) looking up information on the tablet. 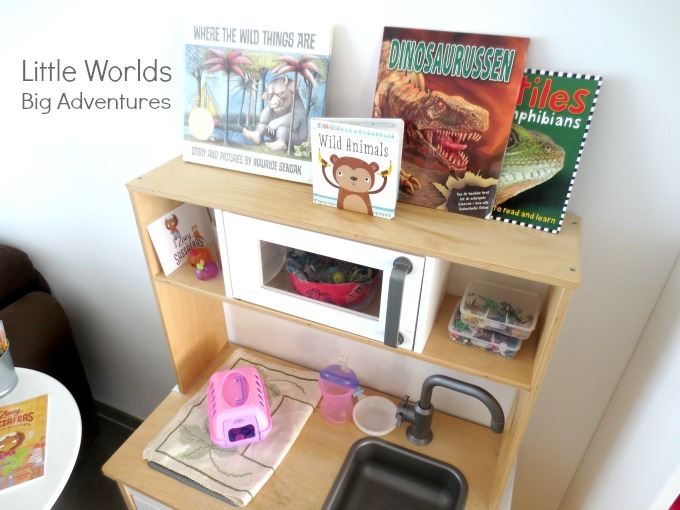 We transformed the play kitchen into a magical animal care station. 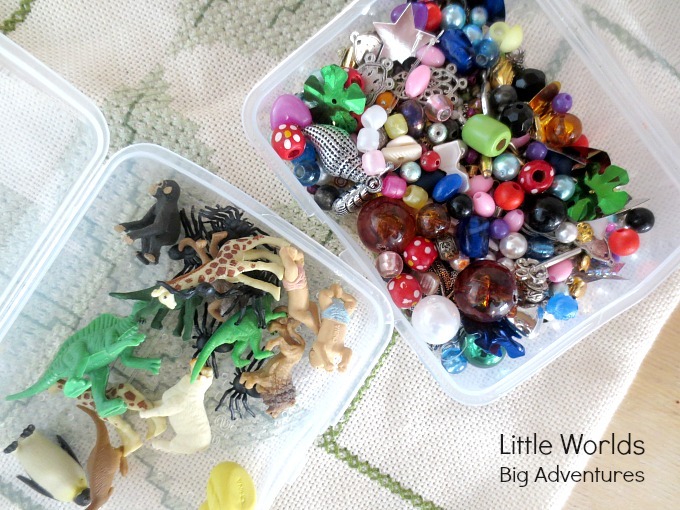 Complete with books for reference, food (a variety of small animals, gems, buttons, beads, glitter … we just don’t know what these magical animals might need!) and an egg incubator. We like to think we’ve got all bases covered. We set up an examination table which can also be used for surgeries. Basic kitchen tools and the mandatory band aid stash are a must. A spray bottle with water (add glitter!) could also be added and fabric scraps for extensive bandaging would make it perfect! We also have plastic pretend syringes, plastic pretend play tweezers, a pretend play stethoscope and several empty medication bottles. I even had some of those very impressive looking thingies with clean water you use to clean your eyes out which they used up in the first minute. Don’t forget your thinking goggles! 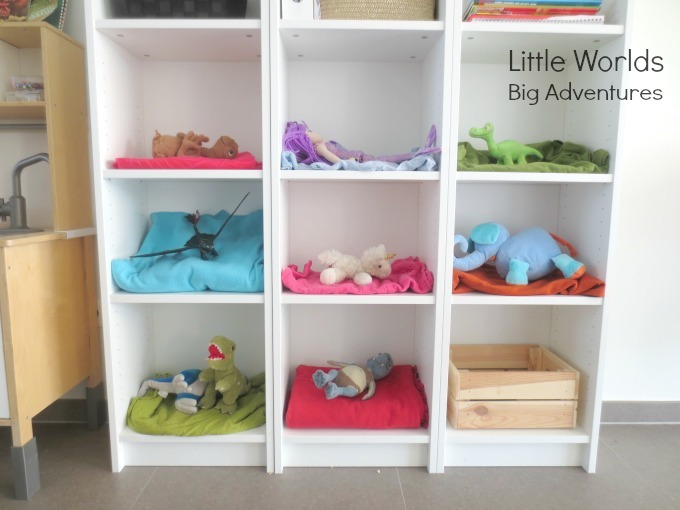 I’m a huge fan of pretend play myself and I often find inspiration in books to set up little activities such as story baskets and invitations to play for my children. Our Goodnight Gorilla, The Little Yellow Digger and Old Macdonald had a Farm small worlds are classics and have been crazy popular. 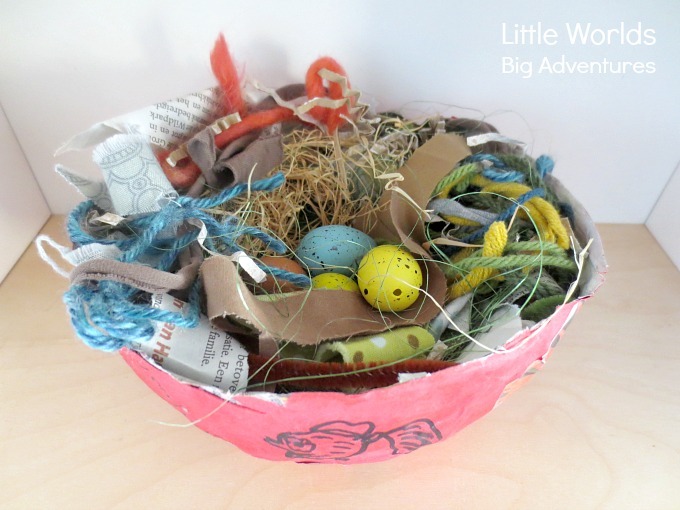 If you’re into book based activities, be sure to check out my Pinterest board where I’ve been collecting the most amazingly clever book activity ideas. Also, in the Zoey and Sassafras series, book two: Monsters and Mold and book three: Merhorses and Bubbles are out now as well. You can read more about them here. Loved this post? Pin it here.